COLUMBUS, Ga. and HOLLYWOOD, Calif., March 8, 2017 — (PRNewswire) — Fun Academy Motion Pictures today announced that Logan Lerman (PERCY JACKSON & THE OLYMPIANS) will headline the voice cast of SGT. 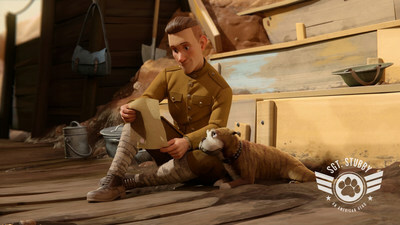 STUBBY: AN AMERICAN HERO, an upcoming feature-length animated film based on the life and times of the United States Army's most decorated dog. SGT. STUBBY tells the incredible true story of a stray mutt who became a hero of the First World War. For his keen instincts and fierce loyalty, Stubby became the first canine promoted to the rank of Sergeant in American history. Lerman will voice Robert Conroy, a WWI "doughboy" whose life is forever changed when a little dog with a stubby tail wanders into training camp. Conroy gives his new friend a name, a family, and a chance to embark on the adventure that would define a century. 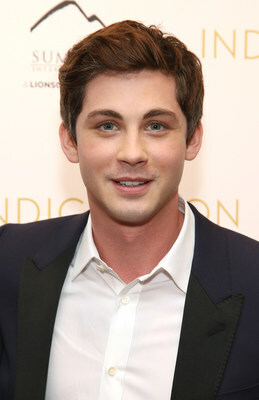 Richard Lanni, co-writer and executive producer of the film, commented on the announcement by saying, "We are very fortunate to find a young man like Logan Lerman who can breathe such life into the story of an ordinary man and his ordinary dog who, together, perform extraordinary feats of valor." Lerman joins a cast already featuring Academy Award® nominees Helena Bonham Carter (OCEAN'S 8) and Gérard Depardieu (THE LIFE OF PI). Bibo Bergeron (SHARK TALE) directs with an original score by composer Patrick Doyle (BRAVE). The film is produced by Labyrinth Media & Publishing, Ltd. with animation by Mikros Image, a Technicolor company, from their studios in Paris and Montreal. Fun Academy will distribute the film throughout North America.